We committed to run this trip with only 1 person booked, and by departure time we had only 6 people on the boat. We are committed to run every trip now, and although we wished we had a few more people on the boat, we were glad to be out in the flat calm, 69 degree blue water! 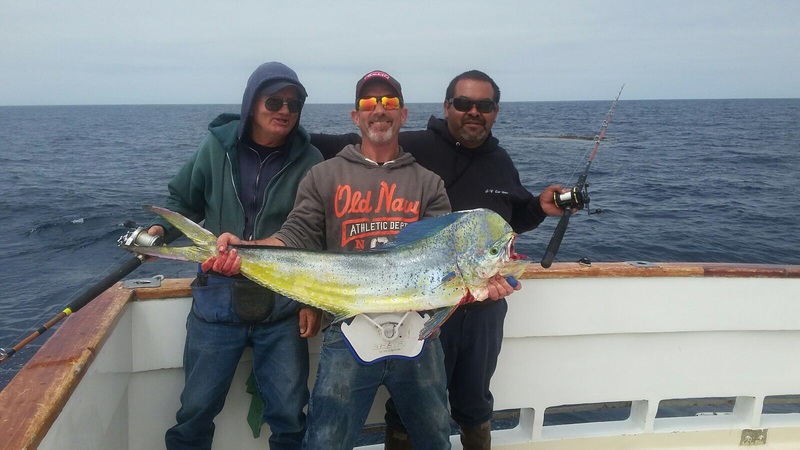 We were rewarded for our efforts with LIMITS of Yellowfin Tuna, 13 Yellowtail and 4 dorado. We are Definite Go on all trips. Call 619-223-1627 or click "book online" thanks.